They are easy to transport. Your baby is quite comfortable in these. They make for easy storage when not in use. This Multipurpose Portable Baby Changing Mat from Warming Wings offers a versatile yet stylish solution. 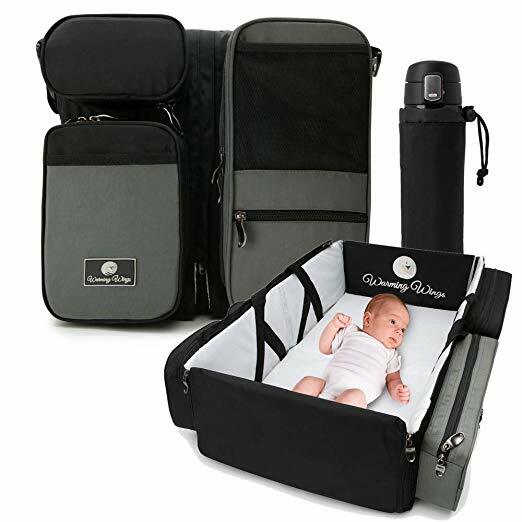 Designed to be multi-functional, this changing mat is also a diaper bag, a foldable travel bassinet, playpen and storage. Made of tough frame and fabric, the diaper bag can carry baby essentials. Because pockets are well-insulated, carrying pumped milk or perishables are also deemed safe. It can be converted into a changing pad or a comfy bassinet for co-sleeping in a hotel room. When out and about, it can be used as playpen while in the park or beach. Versatile and economical, this truly makes a perfect baby shower gift! A bit more deeper Pocket would enable carrying a cloth or two. From camping to transitioning to a toddler bed to sleepovers, the Kenley Toddler Travel Bed is an excellent inflatable solution to your child’s needs. 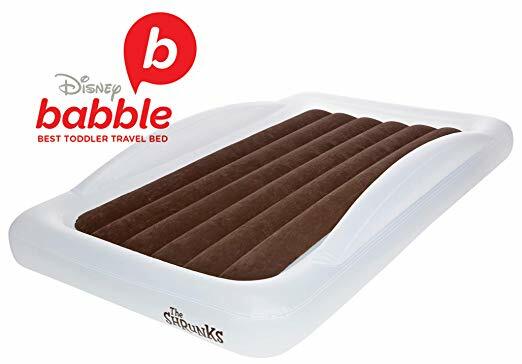 Designed for little kids and toddlers, this inflatable air mattress comes with safety rails preventing falling or rolling over. Made of BPA- and phthalate-free material, it also features double reinforced seams for durability. The pack comes with a storage bag, an electric pump and fleece blanket. Setting up and deflating is quite easy, too. 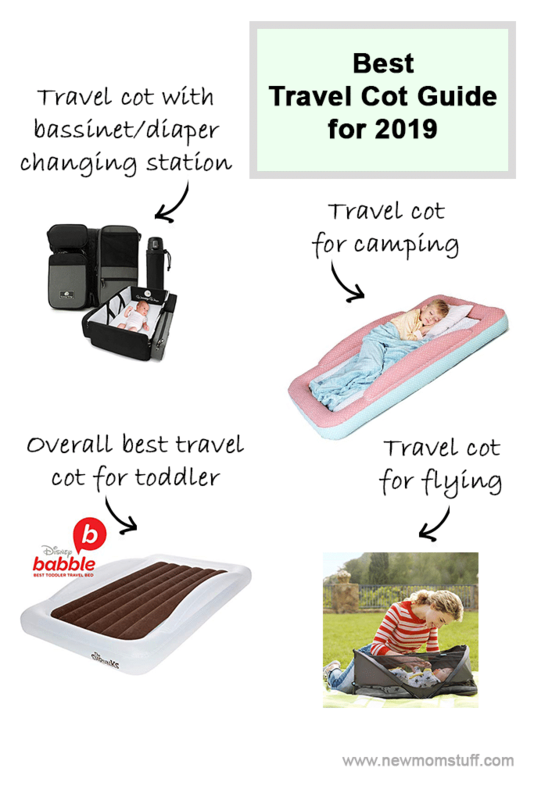 Lightweight and portable, this makes a perfect travel bed for toddlers. 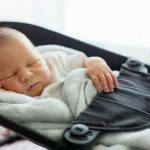 Another excellent solution when transitioning child from crib to bed, The Shrunks Toddler Travel Bed is an excellent solution to toddlers around age 2 to 4. It features signature guard rails, quiet squeak-free material, and tuck-in system for blankets and sheets right into the inner side of the mattress. Made of BPA- and phthalate- free material, it’s lightweight and portable yet constructed durably and safely. The kit also comes with a Jetair electric pump to quickly inflate it at around 30 seconds. To deflate, an emergency release valve can be deployed at the bottom. It is actually a little crib with a very flexible mattress. You can just fold it up and zip it to carry it around. Then when you reach your destination and want to lay your baby down – just open it out (it takes seconds) and lay your baby in it! 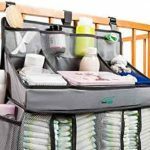 A locking system ensures that the bassinet does not fold up while your baby is in it. Also the mesh fabric is safe for the baby, keeps things light and breathable and also lets you keep an eye on the child. The sheets can be washed in the machine – another great point for overworked mothers! 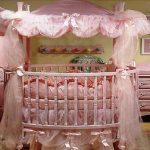 This can also be used in the bed if you want to keep the baby between the parents. It allows for the baby to have his safe haven, even as you can keep an eye on him or her. Highly economical option for keeping your baby safe and comfortable. Makes traveling with a baby so much easier specially in flights. When not in use – storage is also very easy and simple. Smaller in size , so best for babies up to 3-4 months old. And with that we come to the end of our picks of travel cot with bassinet. Each is a good option, and you also have a wide price range. So depending on your needs and your budget, take your pick and get ordering. And once you’ve done that, just sit back and let Amazon take care of the rest!